How do we, as human beings, come to understand ourselves and others around us? This question could not be more timely or pertinent to the issues facing humankind today. At the heart of many of our world’s most troubling political and social problems lies a divergence, and sometimes a sharp contradiction, in perspectives between nations and cultural groups. To find potential solutions to these seemingly intractable divides, we must come to understand what both facilitates and hinders a meaningful exchange of fundamental ideas and beliefs between different cultural groups. The discussions in this book aim to provide a better understanding of how we come to know ourselves and others. Bringing together a number of cutting edge researchers and practitioners in psychology and related fields, this diverse collection of thirteen papers draws on psychology, sociology, philosophy, linguistics, communications, and anthropology to explore how human beings effectively come to understand and interact with others. 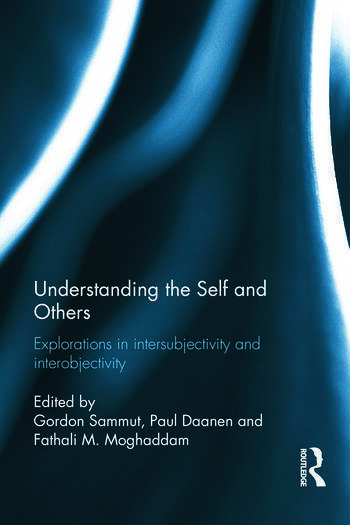 This volume is organised in three main sections to explore some of the key conceptual issues, discuss the cognitive processes involved in intersubjectivity and interobjectivity, and examine human relations at the level of collective processes. Understanding the Self and Others will appeal to students and scholars of sociology, developmental psychology, philosophy, communication studies, anthropology, identity studies, social and cultural theory, and linguistics. Gordon Sammut is Lecturer in Social Psychology at the University of Malta and Visiting Fellow at the Institute of Social Psychology, LSE, UK. Paul Daanen is a doctoral student in Social Psychology at the University of Cambridge and in Clinical Psychology at the Illinois School of Professional Psychology, Argosy University Chicago, UK. Fathali M. Moghaddam is Professor in the Department of Psychology, and Director of the Conflict Resolution Program in the Department of Government at Georgetown University, USA.